Butina was charged in July with attempting to advance Russian interests via the development of contacts within the Christian right, the National Rifle Association and the Republican party. Last week, she struck a plea agreement in which she admitted her guilt in exchange for a reduced sentence. About 97% of such cases end up in a plea agreement. In 2015, Metaxas interviewed Butina on his radio program. With the two tweets shown above, he has come to her defense. In doing so, Metaxas has adopted the position of the Russian government over his own. The only people espousing the view that Butina was kept in or threatened with solitary confinement and forced into a plea are Russian authorities and their sympathizers. According to the Voice of America fact checking website Polygraph, Butina and her attorney said in court that she was allowed visitation and time out of her cell. During the hearing for the change of plea Butina and her lawyers denied any physical or psychological pressure telling the judge the decision to enter the plea deal was voluntary. In addition to her own statement and her lawyer’s statement, we have a transcript of a pre-trial conference call where it is clear that Butina’s rights were respected. Not only did Butina get counsel about the nature of her right to a plea agreement, she had another attorney advise her when her own attorney thought there might be a conflict of interest. In the transcript, it is clear that Butina had been talking to other inmates and had been allowed to talk to others, including journalists, on monitored phone calls. Metaxas’ tweet is interesting in that he implies he has information that isn’t public. “Wait until the whole truth comes out,” he pleads. Somehow he knows something about her faith he tells us. Has he spoken to her? He should enlighten us about his sources. The only sources I can find for the story that she has been kept in solitary confinement or threatened with any unusual treatment is Russia Today and the Russian Foreign Minister. * As noted above, those claims fly in the face of what Butina and her lawyer told the judge in the plea agreement hearing (although in November her attorney did claim she had been in solitary confinement at least some of her stay in jail. The U.S. Attorney’s office did not confirm or deny it). Given what we have learned over the past year about Russian disinformation campaigns in the U.S., it doesn’t seem prudent or wise to trust the word of Russian authorities. While I don’t accept everything anyone tells me without examination, I reserve the highest level of skepticism for Russian claims. There is a high likelihood that these stories of torture and threats of unusual solitary confinement are aspects of an ongoing disinformation campaign the Russians have cultivated among conservative Christians (see this Christian Post article). Sadly, without providing any evidence, Metaxas is helping the Russians promote their position. *(UPDATE: In November 2018, Butina’s attorney Robert Driscoll claimed in court that Butina had been held in solitary confinement for 22 hours at a time for a combined 67 days. There was no confirmation of this claim by the Justice Department. In her plea agreement hearing, Driscoll and client told a different story. Importantly, the sentencing has not yet occurred, and the government holds in its sole discretion the determination of whether the defendant has offered “substantial assistance” to other investigations and will evaluate, as will the court, the defendant’s acceptance of responsibility. Thus, the defendant and her counsel have no incentive to publicly contradict the Statement of Offense or her guilty plea or otherwise take issue with the plea, nor to discuss any aspect of possible cooperation. In other words, Butina isn’t going to debate or dispute the governments account of her treatment or whether or not she was forced to enter a plea deal. She and her attorney already said she did so voluntarily. Eric Metaxas is coming to the defense of an admitted Russian spy, Maria Butina. Apparently, Metaxas doesn’t believe his former talk show guest is a spy. Rather, he believes the government threatened her with a year in solitary confinement which led her to a forced plea agreement. No word from Metaxas how he knows any of this. Here is his tweet disputing Butina’s plea agreement (see my post about her admission to spying for the Russian government). For Metaxas to believe Butina’s agreement was forced, he has to believe the Dept. of Justice is incredibly corrupt. Butina was represented by counsel and agreed that she was an agent of Russia in violation of federal law. Her plea agreement refers to various documents which they have in their possession. They have text messages and emails with the information described in the plea agreement. I don’t know how Metaxas will explain Butina’s agreement. Did the DOJ kidnap this girl and pin an espionage charge on her? Did the DOJ make up all of these events and communications? Did they really threaten to keep her in solitary confinement for a year if she refused to sign a false statement? Is her attorney in on the conspiracy too? Eric Metaxas Plans to Interview Steve Bannon – Yawn? What’s going on? The New Yorker planned to interview former Donald Trump strategist, alt-right leader, and nativist Steve Bannon at one of their events and social media erupted with protest and cancellations of subscriptions. Within hours, the magazine canceled Bannon’s talk and said sorry. In reaction on a recent segment of his radio show, Trump cheerleader and evangelical author Eric Metaxas extended an interview invitation to Bannon and not much happened. On that same show, Metaxas hosted alt-right queen Ann Coulter. Mr. Metaxas has had Ms. Coulter on his show for friendly interviews before. Metaxas considers Brit alt-right poster girl Katie Hopkins his “hero.” Milo Yiannopolis has been his friendly guest as well. These are not interviews which challenge the guests on their alt-rightness. Obviously, it is his show, he can do what he wants. I am just surprised that there is no backlash or consequence for going full alt-right. Mainstream Christians will continue going on the show as if nothing else is going on in the culture. Author Warren ThrockmortonPosted on September 7, 2018 Categories Eric MetaxasTags ann coulter, Eric Metaxas, Katie Hopkins, Milo Yiannopoulos, Steve Bannon14 Comments on Eric Metaxas Plans to Interview Steve Bannon – Yawn? After books on Christian heavyweights Bonhoeffer and Luther, Eric Metaxas tackles the heaviest weight of them all – Donald the Caveman. I haven’t seen a pre-publication copy as yet, but I can only imagine the wonders within this prehistoric prose. 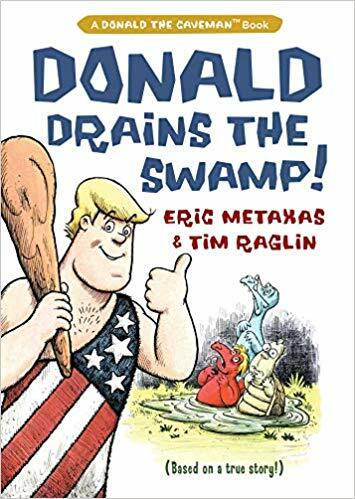 I do wonder how Metaxas will delicately handle a full treatment of Donald the Caveman’s swamp draining. How, for instance, will he depict the Access Hollywood episode and all that grabbing? The Stormy Daniels payoff chapter should be a delicate one for a children’s book. Maybe the book will carry a parent’s advisory. Will there be an entire chapter on Donald the Cavemen’s golf escapades? You have to fill the swamp before you can drain it, I guess. How about a chapter about the S***hole countries, the very fine neo-Nazis, John Dean the rat, our allies the enemies, and his good friend and mentor Vlad. Fair use of image from Amazon book page. As yet another indicator of how far into the alt-right Eric Metaxas has drifted, here is a recent love tweet to British nativist Katie Hopkins. In no universe should Katie Hopkins be called sweet or be anybody’s hero. 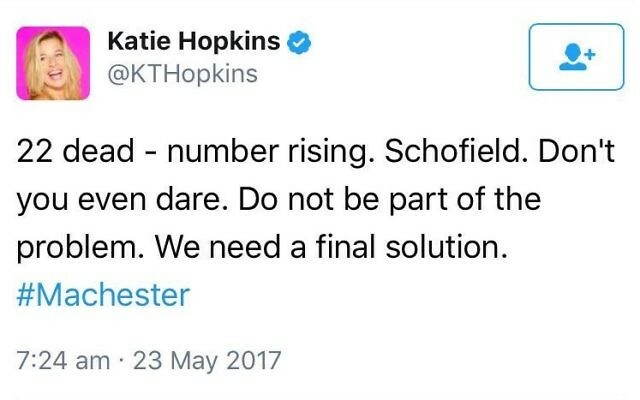 She lost her radio show after tweeting that a “final solution” was needed for Muslims. Regarding Metaxas’ tweet, I don’t know what he refers to by removing Trump by “any means necessary.” Numerous people have called for impeachment, but this is a Constitutional means and well within our republican government. We haven’t checked in with Eric Metaxas lately. Let’s see how he’s doing. It appears he’s about the same, maybe a little worse. I wonder at what point in the United States’s genocidal westward expansion Metaxas and Grudem would argue a wall would have been biblically justified. Good question. 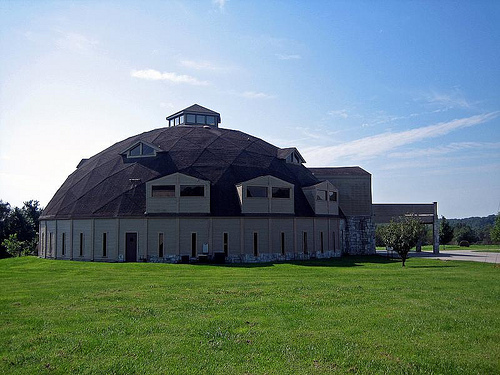 What if the Bible had been the holy book of the Chickasaw people? Reaction was swift and negative to Metaxas’ insensitive tweet. Nate Pyle and Katelyn Beaty are Christian authors and Beaty is former editor of Christianity Today. Since coming out for Donald Trump in the 2016 campaign, Metaxas has bewildered his supporters with his move toward nativism. Metaxas eventually removed the offensive tweet without apology. 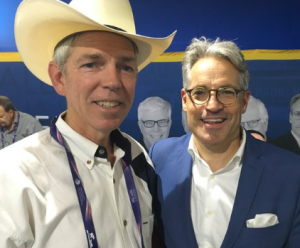 Author Warren ThrockmortonPosted on July 10, 2018 Categories Eric MetaxasTags Eric Metaxas, immigration18 Comments on A Wild Metaxas Appears! Correction: An earlier version of this article said Ecclesia was unaccredited. I have corrected it to reflect that the school is accredited by the Association of Biblical Higher Education but is not regionally accredited which is the gold standard for academic accreditation. Watch out, shoes are dropping in the Ecclesia College kickback case. guilty plea in the kickback and bribery case which came to light early last year. Along with State Senator Jon Woods, and consultant Randall Shelton, Paris was indicted in federal court on March 1, 2017 for allegedly participating in a scheme to funnel state improvement funds through Ecclesia to Woods and Shelton. State representative Micah Neal was also in on the alleged plot and earlier entered a guilty plea. Ecclesia College is an Christian school in Springdale AR which has the support of Christian nationalists David Barton and Eric Metaxas. The school is accredited by the Association for Biblical Higher Education but is not accredited by the Higher Learning Commission which covers schools in Arkansas. Initially, Paris was defiant and claimed he would be vindicated. Although Paris entered a guilty plea, the move may have been a legal maneuver, according to media reports. His trial was slated to begin Monday and Paris may be hoping to revisit his status if an appeals court overturns Judge Timothy Brooks decision not to dismiss the case. In the plea agreement, Paris admits that he “knowingly obtained GIF [General Improvement Funds] money for the College under materially false and fraudulent pretenses.” Paris then caused funds to be paid to Randall Shelton knowing that some of those funds would end up back with Senator Jon Woods in a kickback. By entering a conditional guilty plea to one count, Paris has thrown Shelton and Woods under the bus. As you know, Dr. Oren Paris and two others were indicted a little over a year ago by the U.S. Attorney for the Western District of Arkansas. For Oren, his immediate family, and the extended family at Ecclesia College, this has been a period of spiritual trial, eased by an ever increasing gratitude for God’s constant presence and His great faithfulness. While we continue to believe firmly that Dr. Paris has been honest and forthright in his statements from the beginning of this case, he and his legal team are now convinced that the best path forward is to accept a conditional plea agreement negotiated with the government. We stand with him in his decision. Information recently brought to Dr. Paris’s attention has shed new light on facts he previously knew but had interpreted differently. This enables him to truthfully make the statement required by the government. The terms of the conditional plea agreement clear the path for an appeal to be filed with the 8th Circuit Court of Appeals to address some the issues raised during the course of this case that have caused us all great concern regarding the appearance of fairness of the judicial system. In the meantime, while Dr. Paris will be stepping down as president of Ecclesia College until his name is cleared in order to avoid further unnecessary distraction from the College’s mission, he will continue to serve Ecclesia. We know and trust that God is moving on our behalf toward His ultimate answer to our ongoing prayer for His deliverance. Please continue to pray with us that the upcoming appeal will lead to a fully just outcome in the end.We are completely confident that God has every individual and this institution in His all-capable hands. To the faculty, staff, and students operations will continue as normal. We look forward to seeing Him in and through this situation for the overall good and promising future of Ecclesia College. This case is not over. Senator Woods and Randall Shelton still must go to trial and no doubt they will have something to say about Paris’ involvement. According to the Northwest Arkansas Democrat Gazette, Ecclesia College president Oren Paris, state Senator Jon Woods, and mutual friend and alleged co-conspirator Randell Shelton pleaded not guilty in a bribery and kickback arrangement which has already ensnared a state Representative. I suspect the defense of Woods, Paris and Shelton will be complicated by the previous plea deal accepted by former state Representative Micah Neal. Neal admitted guilt in the kickback scheme which involved the three men. If the state Senator, college president and friend are found not guilty, then Neal might question the wisdom of his plea deal. According to the Democrat Gazette, the three men were instructed not to talk about the case. Despite the indictment, Paris’ college is sticking with him. His board issued a letter of support and at least one Board of Regent member, Eric Metaxas, has expressed support.